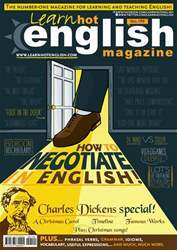 OUR MONTHLY LOOK AT ENGLISH ACCENTS FROM AROUND THE WORLD IN BOTH ENGLISH-SPEAKING AND NON-ENGLISH-SPEAKING COUNTRIES. THIS MONTH: THE GERMAN ENGLISH ACCENT. Germany has a population of about 82 million people, and borders France, the Czech Republic, Belgium, the Netherlands, Austria, Luxembourg, Denmark, Poland and Switzerland. The capital is Berlin (with a population of about 2 million), and other major cities include Hamburg, Munich, Frankfurt, Bonn and Cologne. The president of Germany is Christian Wulf (of the Christian Democratic Union party – the CDU) and the chancellor is Angela Merkel (CDU).